The story of Queen’s Nursing begins way back in the mid 19th Century. 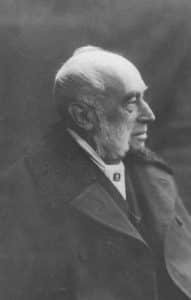 The concept of district nursing was born in 1859 with the idea of skilled nurses caring for poor families in their own homes coming from William Rathbone, a Liverpudlian Philanthropist. The care provided by a nurse to his wife in their home, had been of great comfort to him. He took forward his ideas with support and advice from Florence Nightingale. As she was unable to provide any nurses, she recommended the establishment of a training school attached to Liverpool Royal Infirmary. These pioneer district nurses were seen not only as nurses of the sick, but also as social reformers. 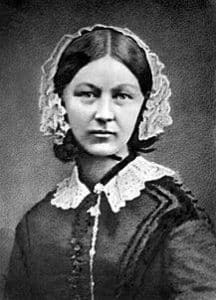 Florence Nightingale saw the district nurse as having a key role in instructing the disadvantaged population of ‘how to use improved dwellings’ and viewed the nurses as ‘teaching, without seeming to teach’. Throughout the 1860s, other English cities began to build on the model established in Liverpool, with Glasgow becoming the pioneer location of district nursing in Scotland in 1875. A major turning point was Queen Victoria’s golden jubilee in 1887. The Queen provided a generous gift of £70,000 which led to the creation of the Queen Victoria Jubilee Institute for Nurses for the education of nurses to tend the sick poor in the own houses. Money was allocated to London and to branches in Edinburgh and Dublin. The idea of Scottish council was first mooted at a public meeting in Edinburgh in December 1888. Like most charitable bodies, it was dominated by members of the aristocracy – sometimes serving both on the Scottish and London councils. Poverty gripped Britain in the 1880s, leaving millions underfed, poorly housed and facing early death from infectious disease. But wealth and privilege did not confer immunity. Within a year of its foundation the Institute’s Scottish branch lost its first president, Hannah, Countess of Rosebery, who had been handpicked for the role by Queen Victoria. 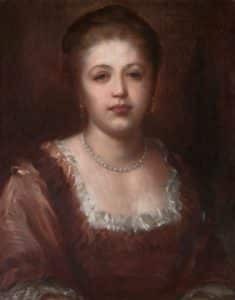 Although the richest woman in Britain, thanks to her Rothschild family fortune, she died of typhoid aged just 38. The same disease had also killed Prince Albert at 41, plunging Queen Victoria into years of mourning amid increasing public disquiet over her lack of visibility. The creation of Queen’s Nurses did much to restore that bond. 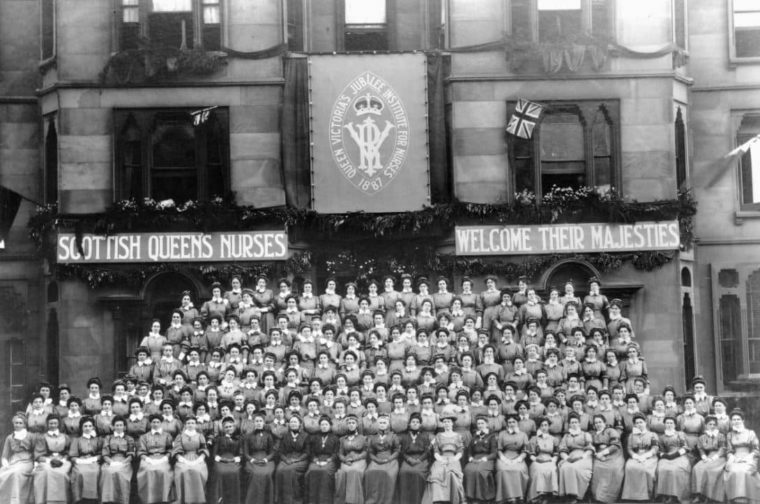 Our sister organisation, the QNI, based in London, has developed a website dedicated to the history of Queen’s Nursing across the rest of the UK. As our two organisations share much of an early history, the QNI Heritage website provides further details about the early years of the Institute. Furthermore, it contains stories from those trained as Queen’s Nurses who practised across the globe, copies of exam questions, photo galleries and more.